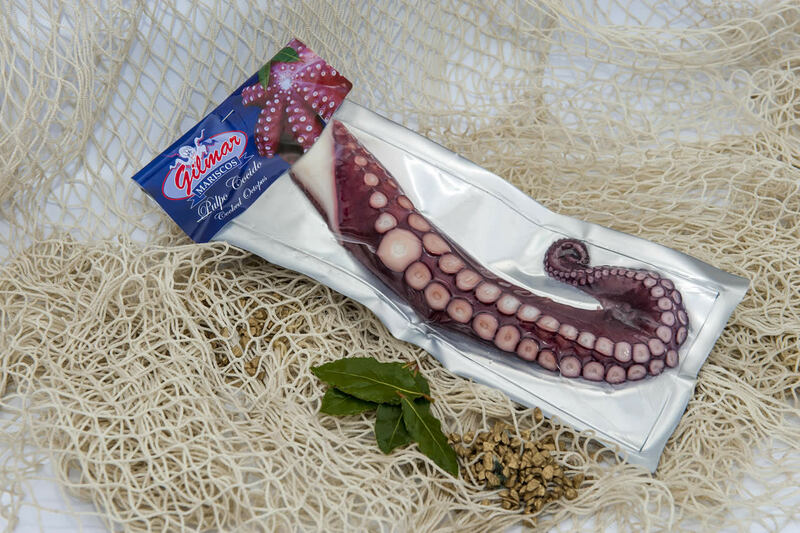 Ingredients: natural Boiled octopus, water OPTIONAL glazing (0%, 10%, 15% ± 2%). Omega3 content per 100g is 240mg. Intended use: Remove the container 2 minutes before use (previously defrost if applicable), and submit to taste.